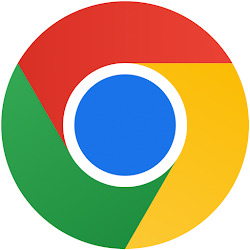 Below are instructions for configuring Google Chrome to read Web sites not written in the English alphabet. If you see Roman alphabet gibberish (e.g. *a&h!!) instead of the correct script, you may need to For some Web sites, such aswww.csssm.org (Chinese Simplified), you will need to manually switch from Western encoding view. Click the settings (wrench) icon after the URL address bar and select Tools → Encoding to view the current encoding.. If necessary switch from Unicode (UTF-8) or Western (ISO Latin 1) to an appropriate encoding. In some cases you may need to scroll to the end of the menu. If there is more than one option per script, select one until the page displays properly. AFTER you leave the site, you may need to switch your browser back to your original setting. Under the View menu, select Encoding. AFTER you leave the site, you may need your browser back to your original setting. Google Chrome automatically matches system fonts with the appropriate language encoding. As long as the appropriate fonts for each language are installed, Chrome will probably be able to interpret a properly encoded page. If you do not see the content, you need to install the correct font as listed on the individual By Language pages.